Select Avery Weigh-Tronix Floor Scales now come with a 5 Year Warranty! Avery Weigh-Tronix is pleased to announce the addition of a 5-year warranty across its family of floor scale products. Another strong statement for the reliability and robust performance of these Weigh Bar® enabled products. 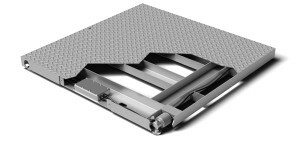 You can rely on these industrial floor scales for all your warehouse weighing needs. Please see the summary of model numbers that are included in this new policy. Effective June 1, 2018, any qualifying floor scale order or shipment will be registered under the new warranty policy. Thank you for your business and continued support. You can obtain a quote for these products by calling our Central Carolina Scale customer service line at (919) 776-7737 or clicking the Request for Quote button on our website. In the case study below, we take a look at how a brewery and beverage company that manufacturers equipment for that industry, uses Cardinal Scale equipment in its process. The company that is featured in the case study chose Cardinal products for various reasons, one important reason was the wide range of products that Cardinal offers which allowed the company to utilize Cardinal Scale products throughout and not have to contend with multiple different brands of scales. The systems provided by IDD provide answers for operations such as keg cleaning, sanitation and filling, flash pasteurization, bottling, and their HEBS (High Efficiency Brewing System). IDD manufactures these intricate and precise equipment systems to meet the distinct needs for their many customers in the beverage industry. IDD’s reach extends all over the world. While primarily servicing America and Canada, IDD Process and Packaging, Inc. ships to Western Europe and as far as countries in the Oceania area, such as Australia. The burgeoning craft brewery and distillery movement in America and Canada provides IDD with a great deal of business opportunities; however, they are not limited strictly to beer and spirits. IDD delivers expertise in more traditional beverage production, such as grape juice, to more exotic and contemporary drinks, like kombucha and cold-brew tea. To round out the design of a few of their systems, owner Jeff Gunn researched scale manufacturers to compare products lines and breadth of products. Cardinal Scale was capable of providing the load cells he preferred, along with the digital weight indicators meant to complete filling functions for keg, grain, and yeast managements systems, plus the scales themselves. “Cardinal Scale provided all of the implements that I needed within one company, and that influenced my decision to go with them,” said Gunn. Cardinal Scale products are featured in Squire Keg Systems, Grain Handling Systems, and Yeast Management Systems. For the Squire Keg series, Cardinal Scale’s model EB-300 scale is coupled with the 190 STORM indicator. The EB-300 weighs the keg that can be moved on a roller platform, and the 190 provides the weight preset programming that is invaluable to precision filling. The Squire Series system can fill up to 30 kegs per hour. The Grain Handling Systems and Yeast Management Systems utilize Cardinal Scale’s 825 or 225 weight indicator and the company’s TCBSS1KM-4 load cell kits. The TCBSS1KM-4 load cell kits provide the durability and precision needed to take on filling of grain augers, mills, and hoppers or multi-tank yeast propagation systems. The 825 or 225 weight indicator guides the more complex filling functions associated with the aforementioned tanking systems. So as you can see, the robust product features of the Cardinal Scale Manufacturing lineup of products was a key ingredient in the success of the featured company in the case study. With more than five years of business between the two entities, both the companies are poised to achieve even more success in the beverage industry. You too can enjoy this same level of success for your business. Contact our sales department to discuss adding load cells under your tanks or adding digital weight indicators to your scales that can collect data that you can then analyze in a spreadsheet on the computer. Call (919) 776-7737 to get started.